Home celebrities Entertainment Robert Mueller & Trump (Jr.) Sooo, What's New with You? Robert Mueller & Trump (Jr.) Sooo, What's New with You? President Trump's nemesis and his firstborn son ... within feet of each other at the same airport gate! D.C.'s a small town, but Robert Mueller and Donald Trump Jr. just took it to a new level. The near collision went down Friday morning in Reagan National Airport ... according to Politico Playbook, which first posted this amazing pic. 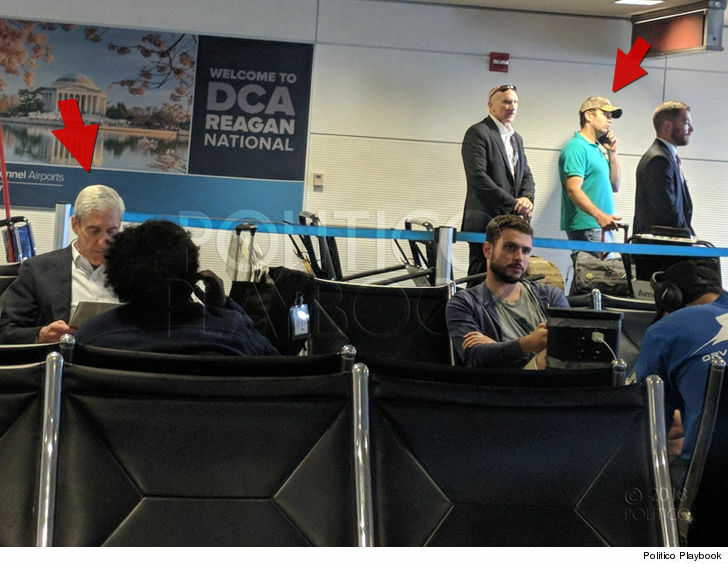 DTJ on his phone, anxiously standing at the gate, waiting to begin boarding -- while Mueller's sitting in the gate area reading a newspaper. Perhaps reading a review of his work? We don't know that they got on the same flight -- they were in a waiting area to catch shuttle buses to other gates -- but that would've been awesome. "You're now free to move about the cabin, but you two keep your distance!"